Beer is one of the world's oldest prepared beverages, possibly dating back to the early Neolithic or 9500 BC, when cereal was first farmedand is recorded in the written history of ancient Egypt and Mesopotamia. Archaeologists speculate that beer was instrumental in the formation of civilisations. The earliest known chemical evidence of beer dates to circa 3500–3100 BC from the site of Godin Tepe in the Zagros Mountains of western Iran. Some of the earliest Sumerian writings found in the region contain references to a type of beer; one such example, a prayer to the goddess Ninkasi, known as "The Hymn to Ninkasi", served as both a prayer as well as a method of remembering the recipe for beer in a culture with few literate people.The Ebla tablets, discovered in 1974 in Ebla, Syria and date back to 2500 BC, reveal that the city produced a range of beers, including one that appears to be named "Ebla" after the city. A beer made from rice, which, unlike sake, didn't use the amylolytic process, and was probably prepared for fermentation by mastication or malting, was made in China around 7000 BC. In 1516, William IV, Duke of Bavaria, adopted the Reinheitsgebot (purity law), perhaps the oldest food-quality regulation still in use through the 20th century, according to which the only allowed ingredients of beer are water, hops and barley-malt. Beer produced before the Industrial Revolution continued to be made and sold on a domestic scale, although by the 7th century AD, beer was also being produced and sold by European monasteries. During the Industrial Revolution, the production of beer moved from artisanal manufacture to industrial manufacture, and domestic manufacture ceased to be significant by the end of the 19th century. The development of hydrometers and thermometers changed brewing by allowing the brewer more control of the process and greater knowledge of the results. Today, the brewing industry is a global business, consisting of several dominant multinational companies and many thousands of smaller producers ranging from brewpubs to regional breweries. 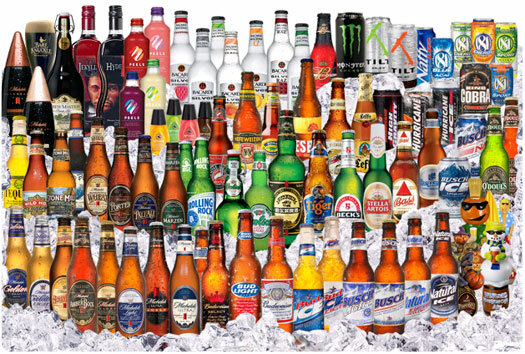 As of 2006, more than 133 billion liters (35 billion gallons), the equivalent of a cube 510 metres on a side, of beer are sold per year, producing total global revenues of $294.5 billion.